Research consistently shows that young African and Caribbean men are more likely to face negative experiences when using mental health services. Time to Change’s 300 Voices project has brought these men together with mental health services and the police to improve the experience for young African and Caribbean men using mental health services and empower them to speak out and help change things for the better. Steve Gilbert shares his experiences and explains why he got involved with 300 Voices. I have experienced mental health problems on and off since my late teens and was diagnosed with depression in 2008. After repeated episodes of depression and a serious manic episode, I was sectioned and subsequently diagnosed with Bipolar Disorder. So why is this important? It’s because I now have a deep understanding of mental health that can only be obtained through personal experience. I’m involved in a Time to Change project called 300 Voices, which aims to improve the experience that young African and Caribbean men have when accessing mental health services. When it comes to providing improvements to care and services in mental health it is essential that someone with their own experience is involved. Enter the Lived Experience Consultant (LEC). We have been selected not only for our direct experience of mental health and for coming from an African or Caribbean background, but because we have the skills and knowledge to be able to add value to the project. There is a common misconception that people who have experienced mental health problems are weak-minded and unable to cope with the pressures of a demanding role. We are demonstrating the exact opposite. Our role has included developing an understanding of the theoretical models we are using, contributing to the design of the programme for the pilot sessions, delivering presentations and jointly running pilot sessions. I have also gone on to co-lead the Co-Facilitator training sessions and to lead Engagement Workshops. As a result, a practical toolkit is now available that allows teams from mental health services to discover what gives people hope within mental health settings, building on their past successes, to create the most effective and positive experiences in the future. Teams work together to create a shared understanding of what helps to support young African and Caribbean men in leading active fulfilled lives and then decide how to take this forward, agreeing the next steps for action. The toolkit supports discussion workshops which will involve participants working through a set of carefully crafted questions and tasks. The result is a vision and plan of action for what both teams and individuals can do to improve their relationships with young African and Caribbean men. I think that our contribution to 300 Voices as LECs gives it integrity because it has been designed through the eyes of people who truly understand the reality of life with a mental health problem. I have greatly appreciated the opportunity to use my lived experience and interactions with statutory staff in a positive way, to produce something which will help improve outcomes and experiences for other young African and Caribbean men. 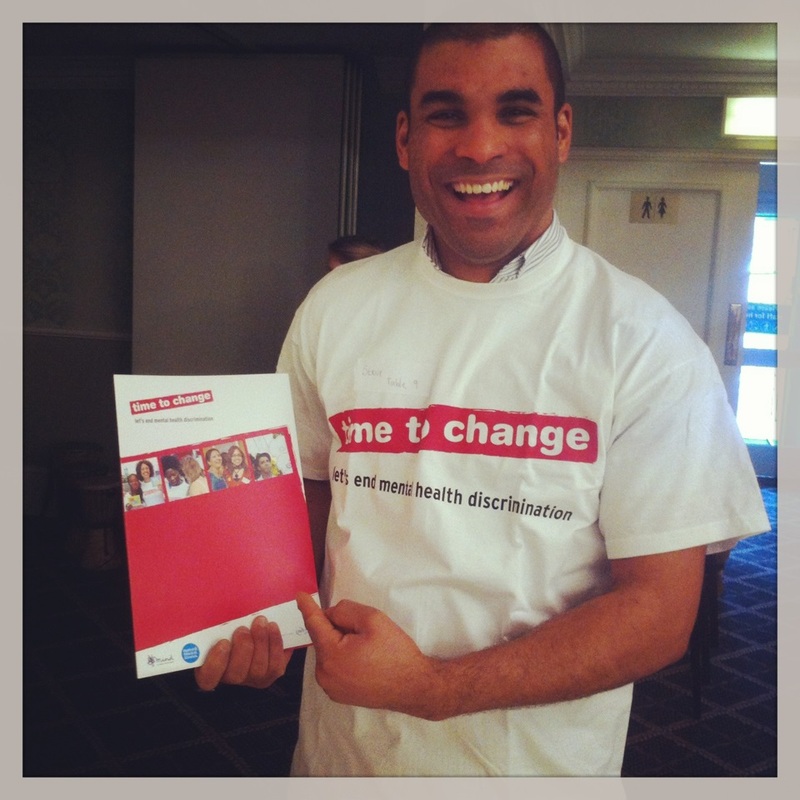 Time to Change is England’s biggest programme to challenge mental health stigma and discrimination. It is lead by leading mental health charities Mind and Rethink Mental Illness, and funded by the Big Lottery Fund, Comic Relief and the Department of Health.